This edition is the culmination of all that makes our industry great! It makes me think of one of my favorite quotes from Dr. Seuss, “Why fit in when you were born to stand out?” These days, whether you use your golf car for golf, neighborhood driving or hunting, there are a plethora of accessories to make your golf car stand out. Accessories for golf cars have grown into a multi-million dollar business and are available to enhance the performance of your car, protect it from the weather and make your driving experience more comfortable. Inside you will find an up-to-date Buyers’ Guide segmented by category. With over 50 categories, from Ambulance/Body Kits to Windshield Wipers, we’ve covered all of the bases. The Supplier Directory is a quick reference of the major players in the industry, you’ll find it easy to locate a source for the accessories you need. Up Next… The Industrial/Turf Vehicle Guide. Moving beyond the standard golf car, turf utility vehicles are specifically designed for multi-tasking and tackling tough terrain. We’ll offer a complete list of what’s new and recap the industry standards. I hope you enjoy this edition and that you find something new and exciting to enhance your business. 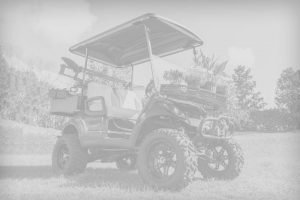 Golf Car News is dedicated to bringing you the latest products and services in the industry and providing information that is insightful and beneficial to you and your company.